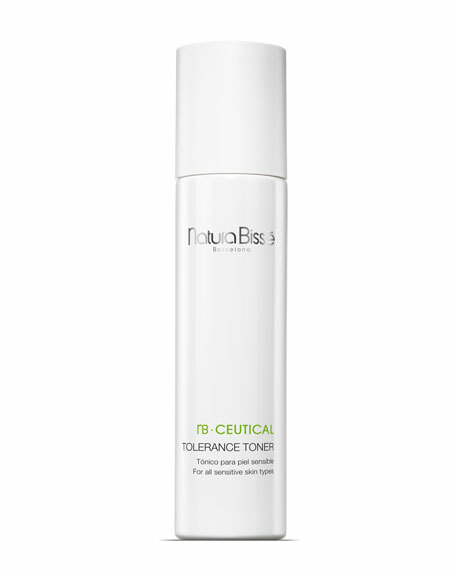 Natura Bisse NB Ceutical Tolerance Toner, 7 oz. Natura BisseNB Ceutical Tolerance Toner, 7 oz. A very gentle, alcohol and paraben-free toner created with a delicate composition that tones and stimulates the skin while infusing it with an exquisite sense of well-being. It is formulated with a FORTIFYING COMPLEX that boosts the skin's Natural Moisturizing Factor as well as botanical extracts that help moisturize and revitalize the skin. This exceptional toner soothes, relieves and protects sensitive, damaged or sensitized skin.